One full size and two smaller sheets of waterslide decals; colour instructions. 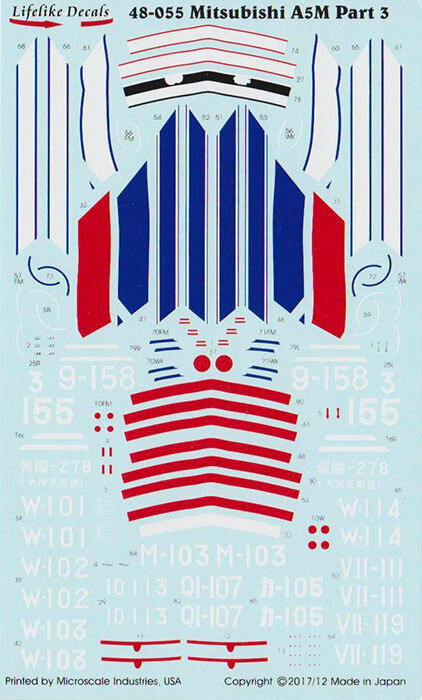 Offers 13 sets of markings for different Claude variants; terrific variety of colourful markings; detailed reference information included; stencil data supplied; decals clearly printed and in register; high quality presentation. Another 13 subjects are included on Part Two. 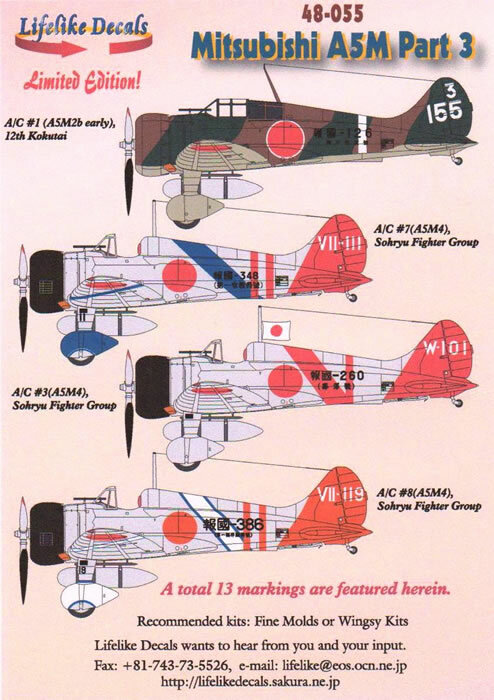 Variants covered are the A5M2b Late and A5M4s. Eleven of the aircraft are finished in natural metal with a range of red, white, blue and black fuselage, wing and tail markings. Two are camouflaged. The second sheet has side profiles and selected upper scrap views of the 13 subjects. 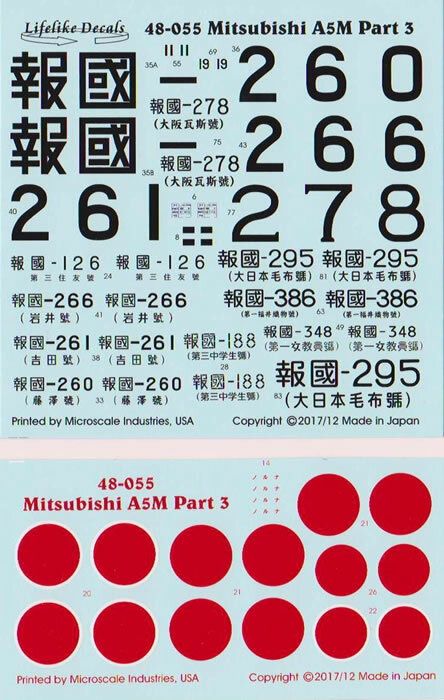 There is a full-sized sheet for the unique markings, with two smaller sheets of black marking and hinomarus. 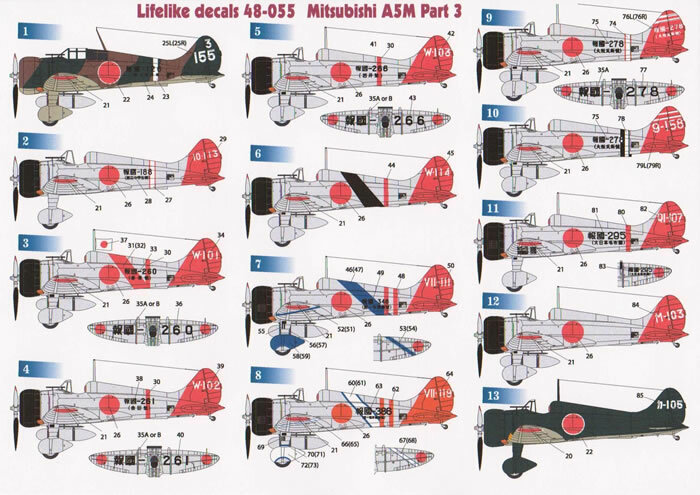 LifeLike Decals' 1:48 scale Mitsubishi A5M Part 3 offers a great range of markings presented to a very high standard for worthy models from Fine Molds and Wingsy.